art skills for the programmers so they can grow their skills to next level. Many programmers uses the old school programming to create application, website, mobile application etc. Coderiddles is an attempt to reach those programmers and teach them the art of programming that makes their life much easier & enjoyable. Technology is growing faster and faster. Students are studying in classrooms so their knowledge about new technologies & new concepts of programming as well as new frameworks are very limited. Coderiddles was created to fill that gap , the site is a resource for the rising generations who haven’t learned advanced programming concepts from their handful syllabus of school or colleges. The founder of the site is Ronak Prajapati ( also known as Razor and co-founder of EPixTacy), a professional Web Developer and author. He was a student in MCA and found college syllabus useless in real programming life. 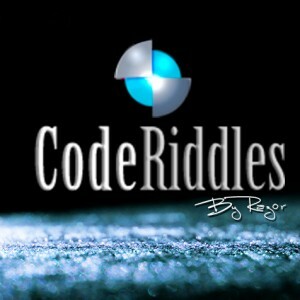 So to provide better programming skills to upcoming developers, he bring coderiddles into market.